Like a self-help book found at Hogwarts, The Keepers of Color playfully guides you on a creative hero's journey through magic, myth, and mindfulness to rediscover the greatest work of your life--you. 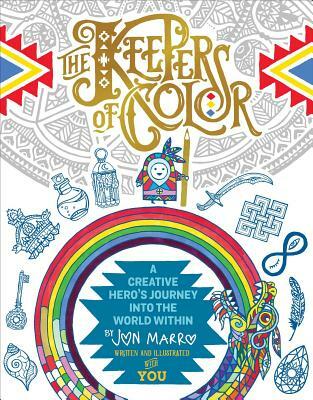 Begin your own hero's journey from the mundane to the mystical with The Keepers of Color, a vibrant coloring and journaling workbook that will inspire you to enter a realm of limitless possibility, magical insight, and self-reflection. Unlike traditional coloring books, this is an intentional and sequenced journey from the first to the last page, providing you with the spiritual strength to celebrate your artistic self. Use this book as an allegory to any personal endeavor: a new creative project, relationship, career move, educational decision, or any other adventures you're taking on in life. Discover the beautiful and healing fountain of creativity we all harbor within ourselves and go confidently after your dreams, overwhelm inner obstacles, and learn how to listen for and answer the call when inspiration strikes.